The love of my life got me one of the best birthday gifts I’ve gotten in my life. I own a lot of awesome vegan cookbooks, from vegan baking to junk food to global cuisine, but this blows them all away! 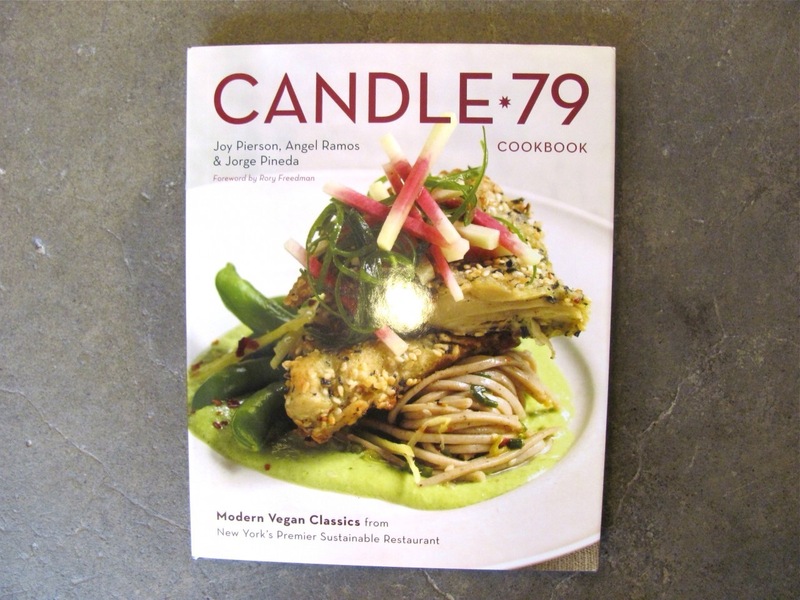 Candle 79 Cookbook is by far the fanciest cookbook I’ve ever owned. 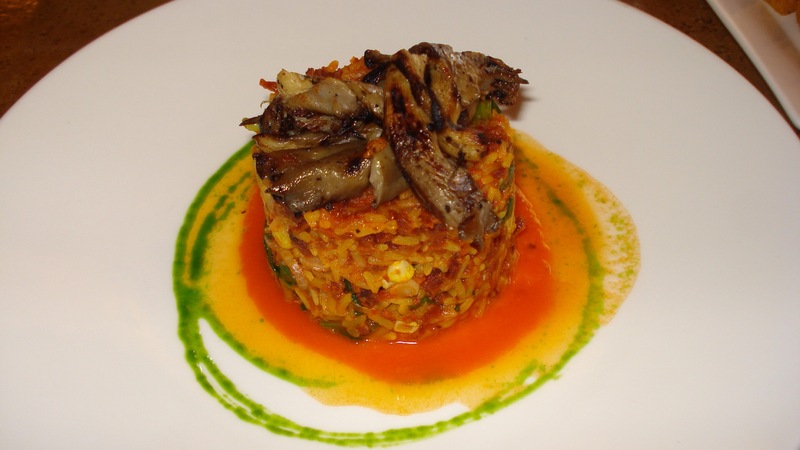 Candle 79 is a gourmet vegetarian/vegan restaurant in New York that was the first-ever vegetarian restaurant to be reviewed by the New York Times. 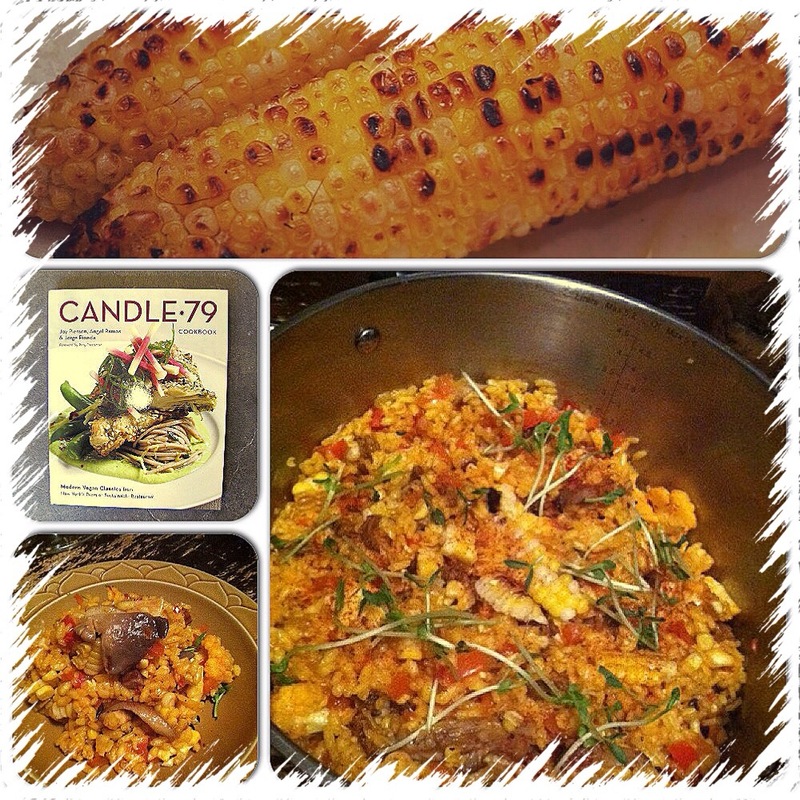 The first dish I hoped to create was a Spanish paella. Paella is a traditional Spanish coastal dish made with rice and vegetables (and historically fish). This high-class paella includes oyster mushrooms, roasted corn, red bell pepper, tomatoes, cauliflower, garlic, and chorizo seitan-sausage, and was seasoned with saffron and smoked paprika. The restaurant version is served with oyster mushrooms and some sort of sauce, but ours looked pretty close to the beautiful picture of the pot in the book! I’m very impressed, and it also got the stamp of approval from my non-vegan best friends Matt, Jenny, and. Jenny. Looks like there will be more good things to come from this cookbook! Here’s the restaurant photo.